Swimming Pools, the spring’s hangout spot! Ever given thought to just how amazing it is to dive and splash in the spring? Well, if you're a pool owner, you can relate when we say this season is just perfect! It's the time of the year when you and the family can jump into the pool or even sit on the Baja shelf and splash all day. Everything is sure to be perfect! But why exactly should you own a pool in the spring? This post is going to explore a few reasons why every homeowner should be thrilled to have a pool this season. Perhaps the biggest reason why you should own a pool in the spring is that the sun feels so good. At this time, nothing feels better than stepping out and relaxing next to the pool this season. That said, you won't be wrong to start grilling those burgers, making those drinks, and of course, getting the family together for a fun time in your backyard oasis. Got friends who are always thrilled about pool parties? If yes, you'll be glad to know that now is the best time to invite them over for a fun time in the water. The good thing is, there are a whole lot of spring party opportunities — think Easter, Memorial Day and more; it's all up to you to do what tickles your fancy! • Beautiful Plants All Around You! Let's face it; we all love being around beautiful plants and flowers. And of course, no other season is sure to feed your desires like the Spring. So if you've been planting all these months, now is the time to watch those seeds grow into something beautiful. And to sum it up, owning a pool in the spring will fire you up to get out more and exercise. As we know, your body stands a better chance of being in tip-top shape when you prioritize exercising in the water, and of course, it gets better when the weather is warm and comfy. The best part? There are several different exercises at your disposal — so just keep working your body! So there you have it! These are just a few good reasons to own a pool in the spring, and we're pretty sure you're ready to dive right in! 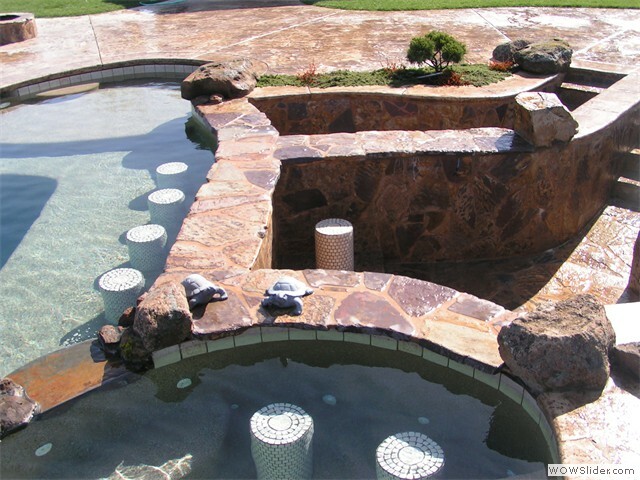 Don't hesitate to give us a call if you need to kick-start any pool project ahead of the Spring fun. Sac Pool Pros is always ready to help out! Have fun!